All things weather this year seem to be prefaced by the statement, “It has been a long winter!” and indeed, this has been a long winter. Spring, all things considered has also been rather weird, however if Memorial Day is here and it heralds in summer and a slight change of pace, and of course the season of grilling. 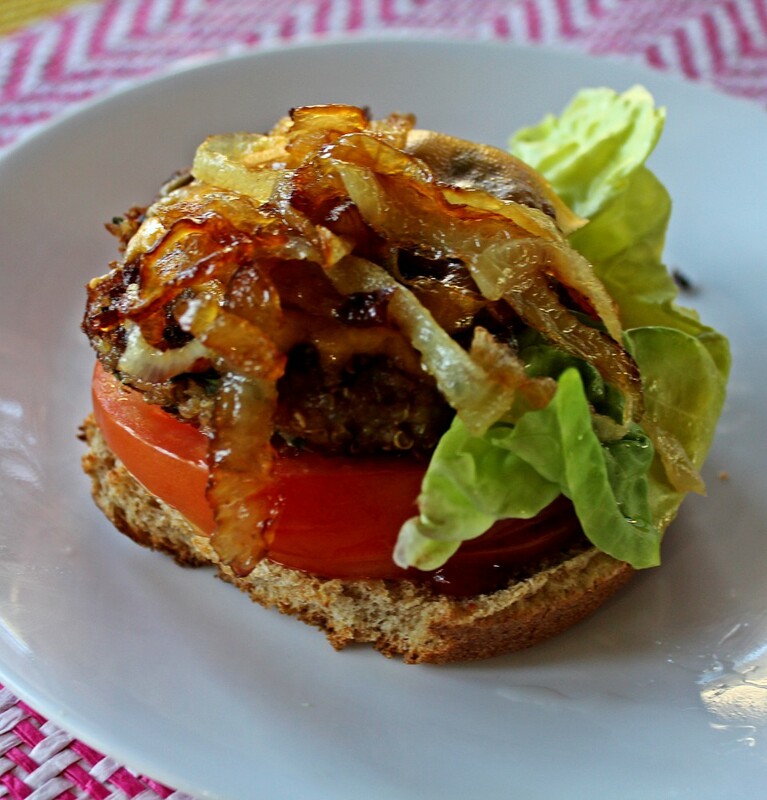 Today’s post is about a veggie burger topped with Sweet Vidalia Onions. Golden lightly crisped Vidalia Onions are my all time favorite for any kind of topping and this simple and wholesome burger shows it off beautifully. This veggie burger is pan cooked, I usually keep it done ahead of time and then heat it over the grill when ready to serve to infuse a touch of smokiness. This is not really needed and you can cook and serve it up right as you make it on your favorite kind of roll and of course assortment of toppings. Before I move onto the recipe, I did want to let everyone know that I will be at The Village Bookstore of Pleasantville, on Saturday the 31st between 11am to 1pm for a book signing event. I will be serving cookies and chatting about spices. Please do stop by, I would love to meet you. 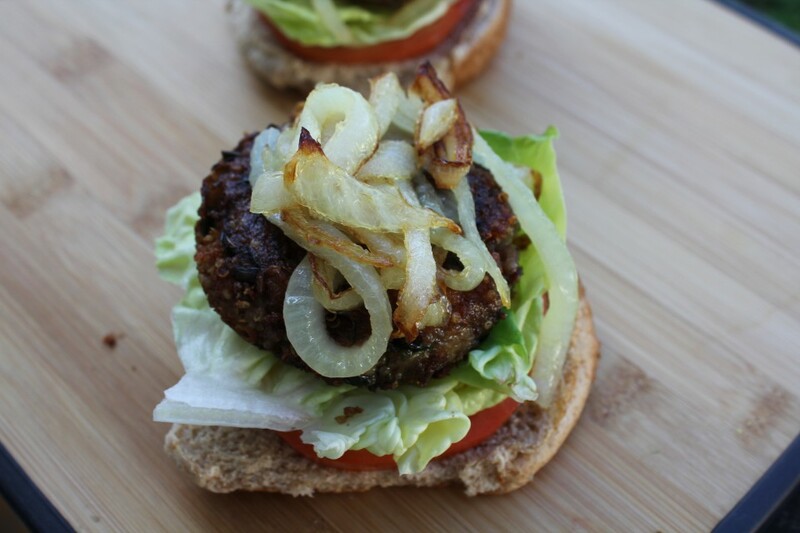 A high flavor veggie burger that is great tasting and good for you. Heat the two tablespoons of oil and add in the onion and cook for about 6 to 7 minutes until the onion softens and begins to turn golden at the edges. Add in the garlic and cook for another two minutes. Place this in a mixing bowl, add the jalapenos, red kidney beans and the quinoa and mash to a well mixed consistency. Add in salt, cumin, cilantro, thyme, flax meal and the egg and mix well. Shape into 4 inch patties about ½ thick and let this rest in the refrigerator for at least 30 minutes. 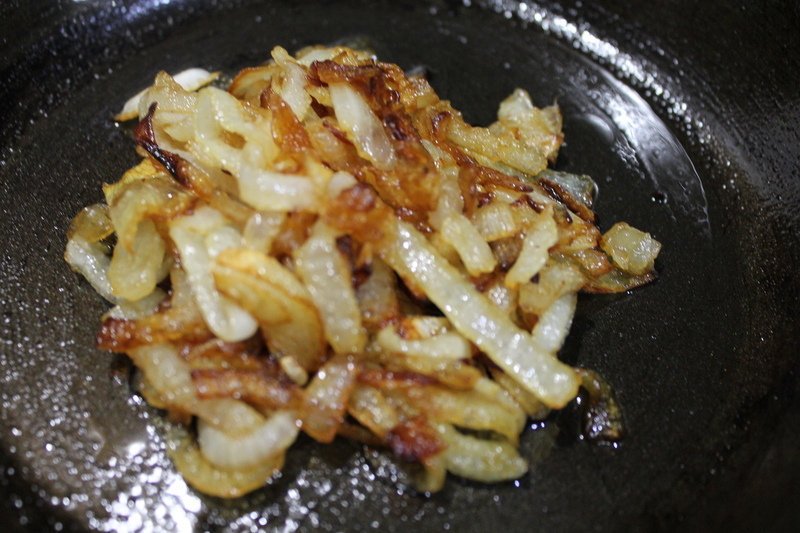 In the meantime heat the oil and fry the sweet Vidalia onions for about 6 to 7 minutes, until they are golden and set aside. Heat the oil for shallow frying and fry the patties for about 4 minutes on each side. It is important to make sure that the oil is well heated and there is enough space to easily turn the patties. Remove and assemble with the other fixings and enjoy. The prep time includes chilling and assembly.